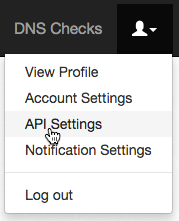 All calls to the DNS Check API should include an API key. This 32-character string authenticates the application that's connecting. 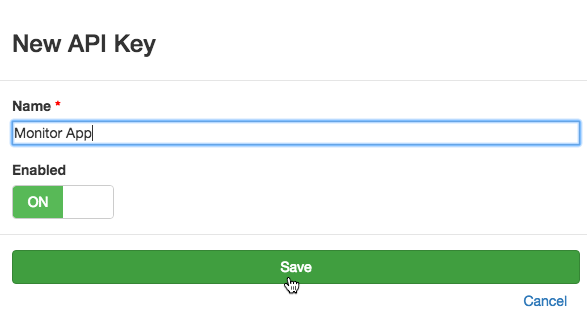 We recommend using a different API key for each connecting application so that you can easily revoke access to any of them without impacting the others. Treat this key as you would a password. Anyone who has this key can use it to view the status of your DNS Checks. Login to your DNS Check account. You should now see your new API key.